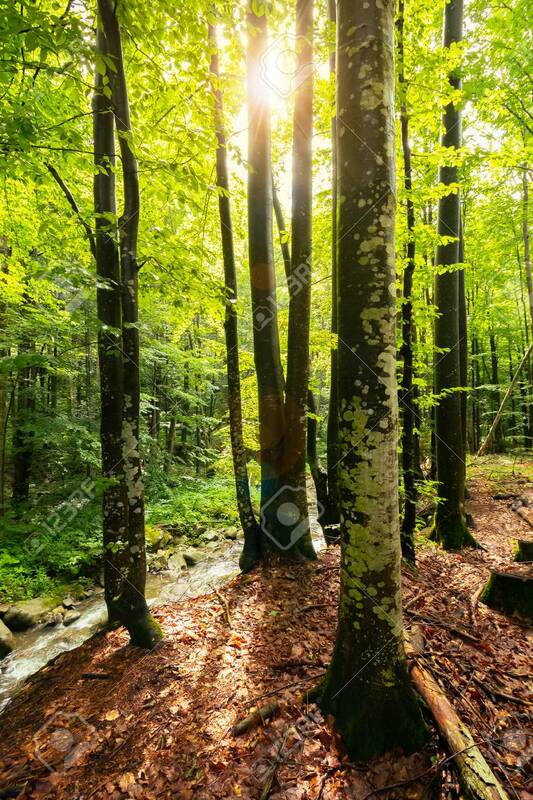 Sunlight In Summer Forest. Huge Trees On The Edge Of A Hump Near.. Stock Photo, Picture And Royalty Free Image. Image 113582511.